Jamie Bernstein and Steve J. Sherman’s book Leonard Bernstein 100: The Masters Photograph the Maestro is out on the shelves now (Powerhouse Books, 2019). The book is chock full of personal letters, scores, as well as many photos, including this frame from Bernstein’s 1985 sitting with Karsh. 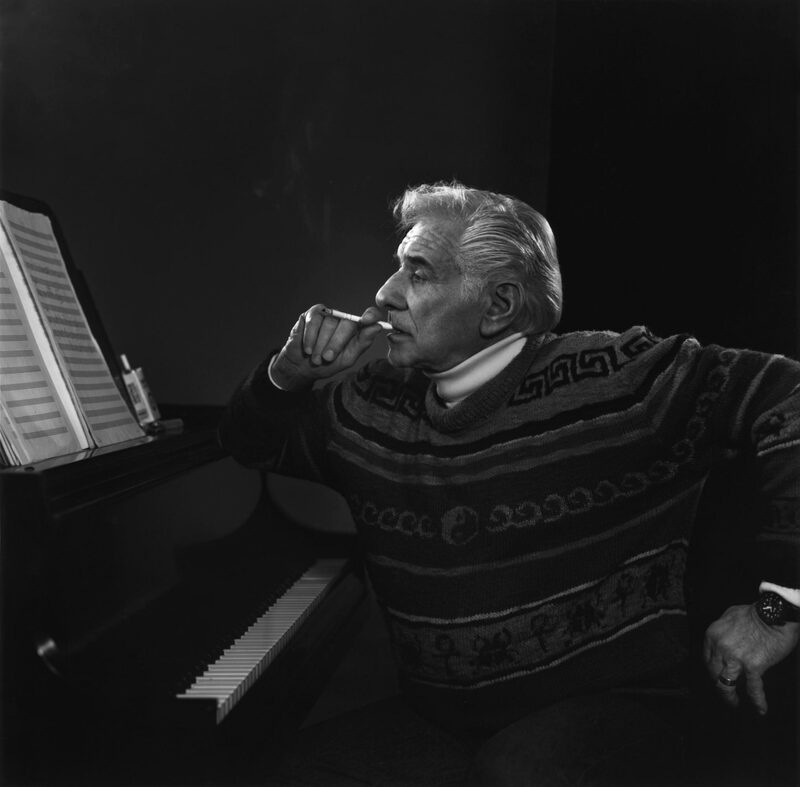 “Leonard Bernstein was constantly being photographed, but unlike most, he was photographed by some of the greatest visual masters of the 20th century, including Richard Avedon, Henri Cartier-Bresson, Alfred Eisenstaedt, Ken Heyman, Yousuf Karsh, Stanley Kubrick, Gjon Mili, Arnold Newman, Ruth Orkin, Irving Penn, and W. Eugene Smith. See another frame from the sitting.